likely doubles your risk for breast cancer. 25 sounds like a lot but some people take 3-4 rounds a year for frequent sinus infections, urinary tract infections, strep throat or ear infections. The more antibiotic prescriptions you fill, the higher your risk. Oddly, at the time the study came out, the director of public health sciences at the Fred Hutchinson Cancer research center said he did not know why this correlation existed. But there is at least one clear mechanism at play here that I can see which involves beta-glucuronidase. So make sure to take your probiotics. 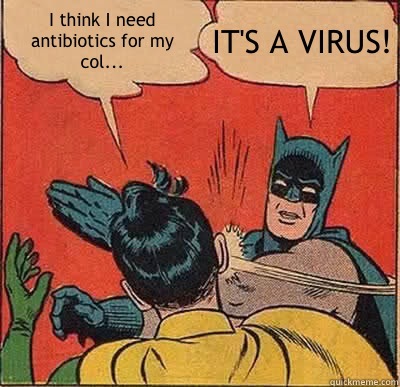 And be very picky as to when and why you take antibiotics. If you are having repeated infections, have your doctor dig deeper and figure out why they keep recurring instead of writing yet another prescription for antibiotics.